From Roses to Rainbows: Crab Cakes...Who Knew? I'm chuckling over your shock. It's funny what tickle someone's fancy. My blog post (years ago!) about using Gorilla Glue, is the same way! 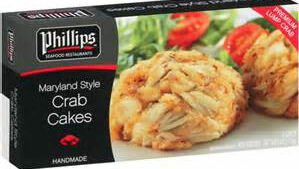 It definitely puzzles me, but I guess a lot of people search on crab cakes. I love crab and calamari as well. Costco used to carry calamari and I believe it was the same brand. So yummy! I didn't see any the last time I looked for it.